UC-411PBT-C as Type D. AD-6209PBT-C, UC-355PBT-Ci, UC-351PBT-Ci and UC-325PBT-Ci as Type U. 3.3.6_tag978M for Type D. R280_a.4.4 for Type U. Version A, Version C for Type Us. At the end of measurement, A&D Medical UC-411PBT-C digital Body Composition Analyzer can send measurement result with the time and date information to the Continua certified Manager immediately. The measurement results include weight, fat percentage, muscle percentage, and other parameters. In case of the Manager being not available, UC-411PBT-C will store the measurement in memory and send the measurement at the next time when the agent is used. User does not need to set the clock. The time and date information are attached to the measurement automatically by the agent. User can select the measurement unit between kg and lb. 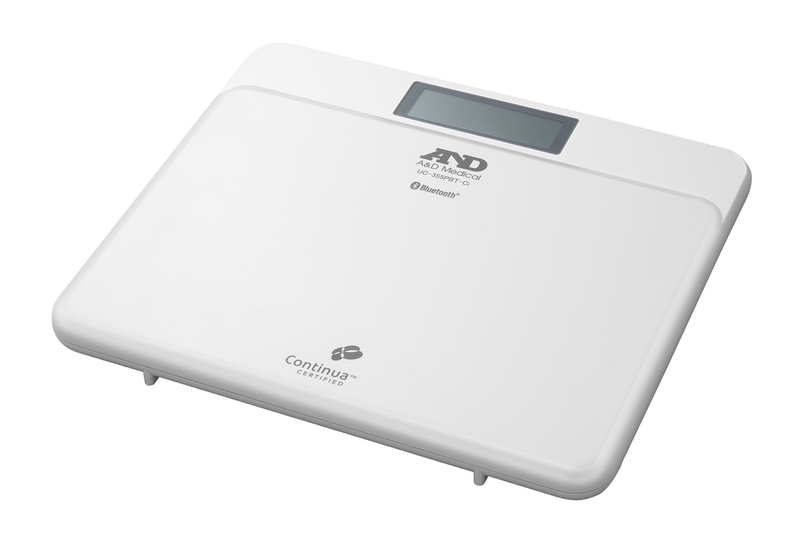 A&D Medical Bluetooth Weight Scale series are Continua Certified weight scale with Bluetooth wireless technology. Its maximum 550 lb capacity and excellent precision, make this wireless scale ideal for remote patient monitoring in telemedicine applications. For UC-355PBT-Ci: At the end of measurement, UC-355PBT-Ci digital weight scale can send measurement result with the time and date information to the Continua certified Manager immediately. The measurement results include weight. In case of the Manager being not available, UC-355PBT-Ci will store the measurement in memory and send the measurement at the next time when the agent used. User doesn’t need to set clock. Time and date information are attached to the measurement automatically by the agent. User can select the measurement unit between “kg” and “lb”.